Monday Night Raw was known to have been re-drafted at the last minute since there were a number of travel issues and it appears that this fact itself affected a number of the stars of the show. There were a number of stars who made the switch over to Monday Night Raw as part of the Superstar Shake-up but some debuts were not on the level that many of the WWE Universe were expected. We are just a week removed from the biggest event of the year and some of these stars who were on Raw last night were not at a level where they should have been broadcast on WWE TV. 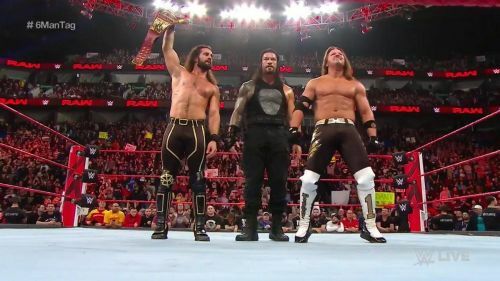 There were more botches than usual on Raw last night, but here are just a few that the WWE Universe might have missed. A number of superstars made the switch over to Raw as part of the Superstar Shake-up which will continue tonight on SmackDown Live and The Usos were one of those teams. 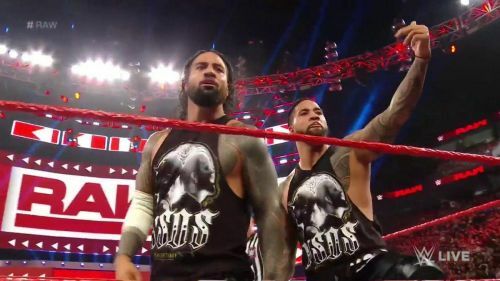 Whilst the likes of The Miz and The Viking Experience had their own pops as they debuted, the person in the production truck somehow managed to ruin The Usos debut on Raw since they revealed the graphic a little bit too soon. Chad Gable and Bobby Roode were still in the ring cutting a promo when the graphic came up and it was made clear that the former Tag Team Champions were making their way over to Raw. Vince McMahon can't have been happy that someone backstage gave away The Usos moment merely minutes before they were due to come out the curtain, but this just sums up the kind of night that WWE had in Montreal.